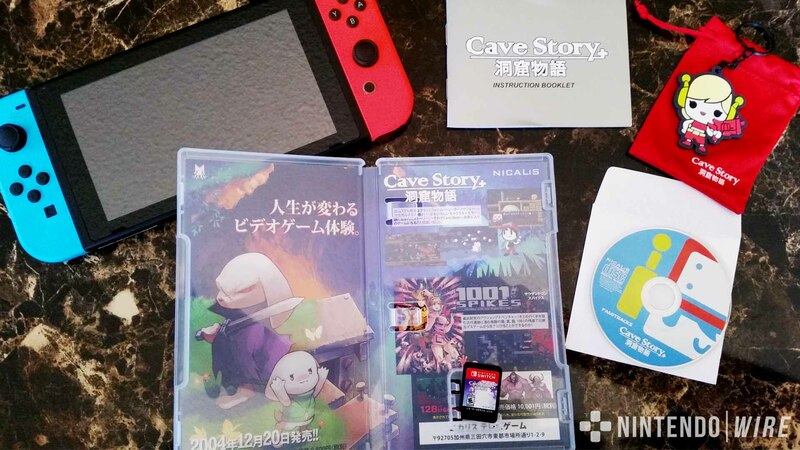 If you’ve already played through Cave Story before, you’ll be happy to know that the Switch version isn’t just another port. Featuring the unique home and portability duality of the Nintendo Switch, as well as new refinements and modes, there’s a reason that “+” is in the title. More than anything, though, the Switch release features some exclusive goodies to tempt longtime fans or to sway those who haven’t played before. Thanks to the fantastic people at Nicalis, I managed to get a copy of not just the physical version, but the unique GameStop exclusive version that features a little something extra. Let’s check it all out! The game’s art is striking in its own right, capturing the feel of the title in a wonderfully detailed piece. 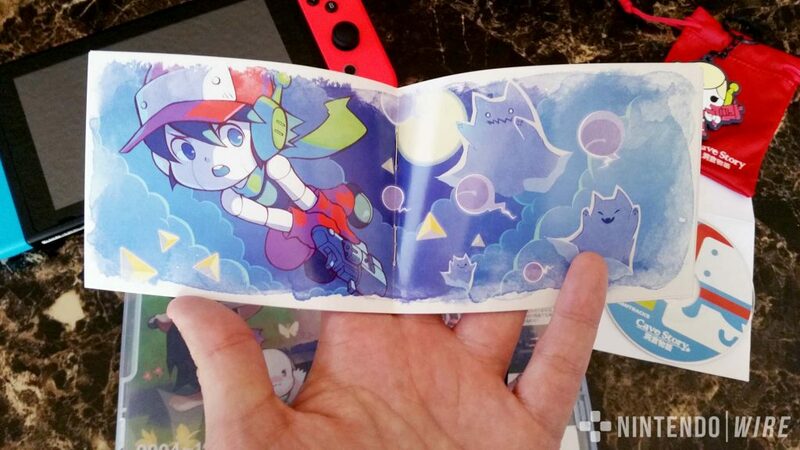 What’s more, it’s reversible, with the alternative art inside referencing elements and characters from the game while providing a shoutout to another Nicalis title that we haven’t seen on the Switch just yet. 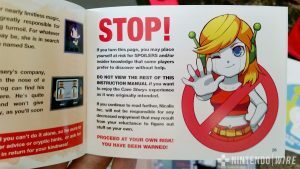 My favorite piece of the standard package has to be the instruction booklet. 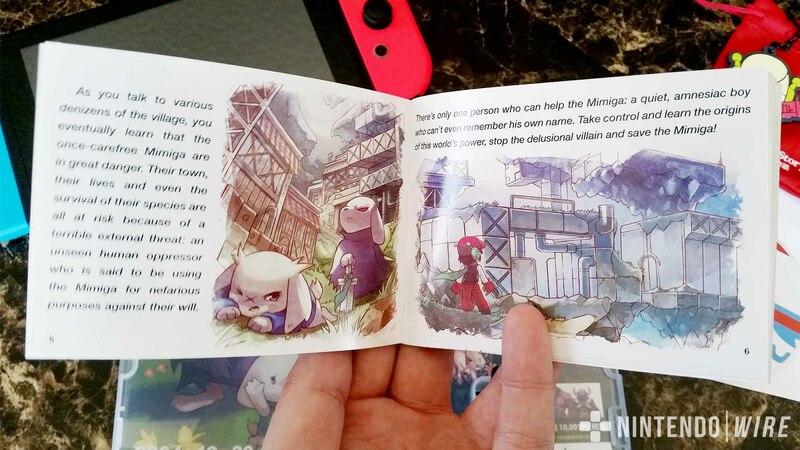 Fully colored and featuring some spectacular art, it captures the essence of when these booklets meant something and were expected, rather than existing as an extra item in the package. With full spreads to dazzle you and some smaller bits to highlight the story and info there’s something fun to be found on every page. 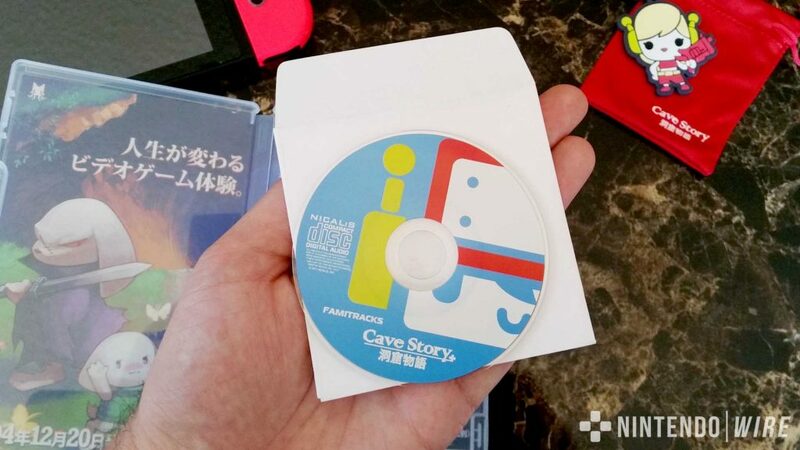 The small CD containing the soundtrack, or rather the Famitracks version, offers fans of the game’s music a convenient way to listen — and serves as an adorable looking piece of merch. The game’s music is already fantastic, but providing this alternate take on such a cute medium made this a pleasure to both listen to and hold. 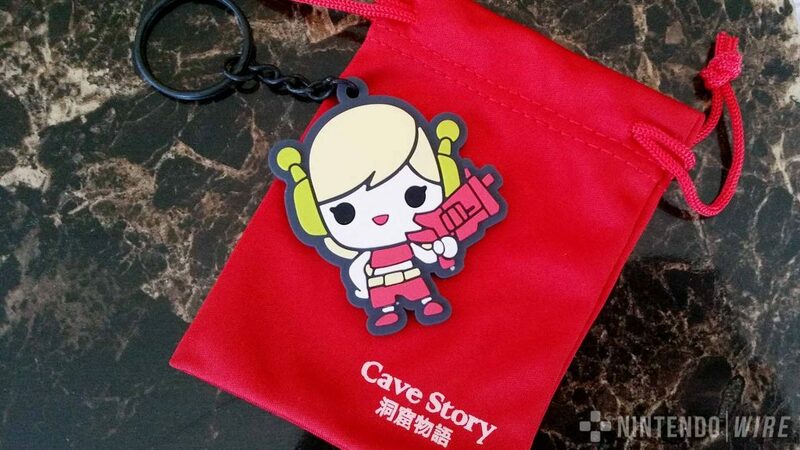 Finally, we come to the chibi keychain. These are only included when the game is purchased at GameStop stores, and they’re blind bag style items. The three available styles are Quote, Curly Brace and Balrog and they come with a knit red pouch as well. Once I opened mine, I was greeted with Curly’s smiling face. These are unavailable in any other fashion, so for fans that want it all, picking this one up at your local GameStop is the only way. 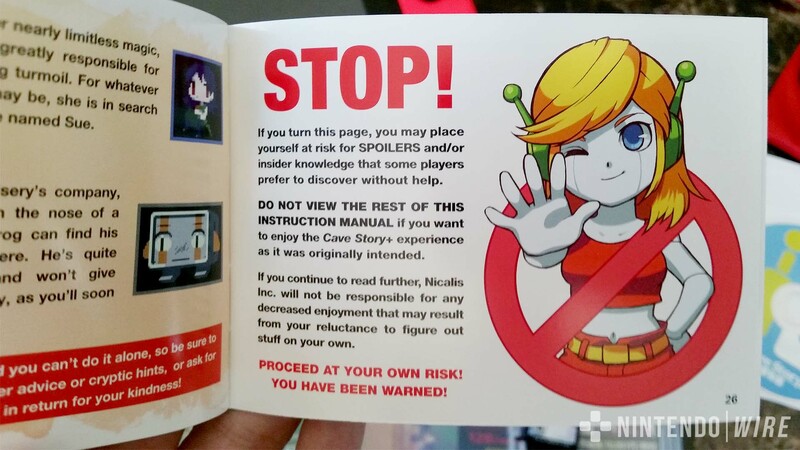 Check out our full review of Cave Story+ on Switch, and pick it up today!